If you're looking to buy a couple of new PC peripherals this week, Amazon is running a sale where you get 30 percent off if you buy two selected Logitech products from the store. 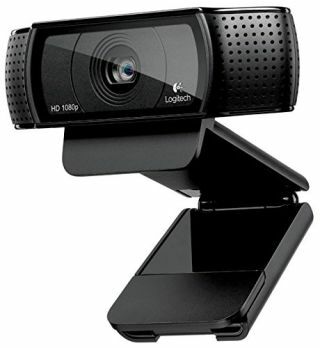 The Logitech range on Amazon stretches from keyboards and mice to webcams and headsets. It contains high quality items like the Logitech C920 HD, which is still our favorite webcam after all these years thanks to its nice 1080p resolution and large field of view. You could also nab yourself a Logitech G910 Orion Spectrum, with its Romer-G mechanical switches, RGB illumination, and customizable macro keys. The webcam is already down to £60 from its regular price of £90, and the keyboard is down to £126 from £160. Combine the two in one order and you get an extra 30 percent off, which is a pretty good deal. Bear in mind that the offer only stands if you purchase directly from Amazon.co.uk, and not from Amazon Warehouse Deals or from third-party sellers on the Amazon Marketplace. The deal ends on January 19, so if you fancy grabbing yourself some Logitech peripherals, you've got just under a week left.